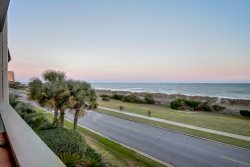 Ocean Forest Villas D209: Fully Renovated, Oceanfront Two Bedroom Condo- Sleeps 6! to inquire about the latest deals and specials! Grand Atlantic Resort - Any Season...Any Reason. Any Reason...Any Season is the perfect time to discover Myrtle Beach. But don't take our word for it. Come experience Myrtle Beach and see why it was awarded TripAdvisor's "Best Family Trip Destination," and Trivago awarded it the "Top Beach Destination." Myrtle Beach's Grand Atlantic Oceanfront Resort is truly a resort for all seasons. And really, the perfect time to Visit Myrtle Beach, is anytime. Sleep near the sand, and wake up to breathtaking views of the great Atlantic Ocean.